Bon Scott was an Australian musician born in Kirriemuir, Scotland on 9 July 1946. He was the lead singer and lyricist of the Australian band AC/DC from 1974 until his death in 1980. The Scott family immigrated to Australia in 1952. In 1956 Bon joined the associated Fremantle Scots Pipe Band and learned drums. In 1964 Scott formed his first band, The Spektors. He was the drummer and occasional lead singer for the band. Two years later the Spektors coalesced with another band, The Winstons, and formed The Valentines, in which Scott was co-lead singer with Vince Lovegrove. In 1970, after gaining a place on the National Top 30 with their single "Juliette", the Valentines disbanded. In 1970, Scott joined the progressive rock band Fraternity. Later in 1971, the name was changed to "Fang". In September 1974, Bon Scott replaced Dave Evans as the lead singer of AC/DC when he was working as a driver and general hand in Adelaide. After Bon joined AC/DC, the band released High Voltage, their first LP in Australia in February 1975. In December 1975, AC/DC released their second album T.N.T. In the following years, AC/DC gained further success with their albums Let There Be Rock and Powerage. On 19 February 1980, Bon Scott, who was only 33 at the time, passed out after a night of heavy drinking in a London club called MusicMachine. The official cause of Scott's death was listed as "acute alcohol poisoning" and "death by misadventure”. Although common folklore claims that ingestion of vomit or drugs were the cause of Scott's death. Five months after Scott's death, AC/DC recorded Back in Black as a tribute to him hiring Brian Johnson as the new vocalist. Bon Scott began his life working as a postman, bartender and truck packer; but became one of the most famous vocalists of all times. Bon’s grave is reportedly the most visited grave in Australia and the “National Trust of Australia” has decreed his grave important enough to be included on the list of classified heritage places. In May 2006, the town of Kirriemuir in Scotland held a service and unveiled a Caithness stone slab commemorating the singer. On 24 February 2008, a bronze statue of Bon Scott was unveiled in Perth, Western Australia. HTML. I'm starting a blog soon but have no coding knowledge so I wanted to get advice from someone with experience. Any help would be greatly appreciated! Usually I don't learn article on blogs, however I would like to say that this write-up very compelled me to check out and do it! Your writing style has been surprised me. Thanks, quite great post. toо. Τhіs kinԁ οf clеvег worκ аnԁ covеrаgе! Κeep up thе ωonderful ωorks guys I've included you guys to my blogroll. I was curiοuѕ if you ever thought of changing thе laуout of your ѕite? it bеtter. Yоuve got an awful lot of text foг οnly having 1 oг two pictuгes. Mауbe you could spасe it out better? I just like your blog.Its neat and clear and also informative content.Thanks for sharing..! Thank you for this detailed article on Web designing training. I’m aspiring to do Web designing training. Really enjoying your sharing, you have a great teaching style and make these new concepts much easier to understand. Thanks. Thanks a lot.We hope to really understand for this wonderful information. Thanks for sharing his story with us. It was interesting. Bon Scott was a rock musician famous for serving as the lead singer and lyricist of the hard rock band ... Would You Like To Discuss Or Comment On Bon Scott? and quite honestly, I wouldn't be half the marketer I am today without them. Amazing artist would love to listen him any time. commission express reviews I found this informative and interesting blog so i think so its very useful and knowledge able.I would like to thank you for the efforts you have made in writing this article. My question is does anyone have any evidence that he did write some of the songs or even record something before his death?? Nobody has anything like that, because the lyrics on Back in Black were written by Johnson. Even if they had something already written, just look at the songs they put on Bonfire. They pretty different from the final album versions. If they had anything from the Back in Black sessions with Scott they would have include it on the Bonfire box anyway. I'am planning to join Oracle certified course. I want some expert advice whether i should go for it or not. I think the official line is that Johnson wrote all the lyrics to Back In Black. But I remember reading somewhere (sorry I can't find the source) that Scott's girlfriend at the time claimed to have seen in one of his notebooks a song titled "Rock and Roll Ain't Noise Pollution", which, if true, obviously means that Johnson didn't write all of the lyrics, and Scott's notes may have been used. If anyone wants to get real time Oracle Training in Chennai reach Adyar located at Chennai. They give professional and job oriented training for all students. It is nice blog.It is valuable information.I read this article and is good.Thanks for this post. Amazing.I was searching more information about Bon scoot.You have gave a clear idea about him ..Its more informative.Thanks for sharing. In this blog many post were there , it is useful we get more and different information from your blog thanks for posting. thanks for your amazing post related for music. you are done a great job. keep updating. nice blog.this content shows the useful information to learn more.thanks for sharing this concept with us. 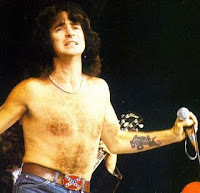 Gathered more information about Bon Scott..This blog is more informative..Keep on blogging more blog like this..
Got a creative information. Understand well in this. This gives the easy technique of experiment. New texhnologies are developed more. so techniques are also improved. Thenk you for this information. It is valuable blog and is useful for me.It has more important details in this article.Gives an excellent knowledge. Through cloud computing it is possible to access the same kind of application through internet. Cloud computing services ae ideal for the business with growing demands. Nice post , thanks for sharing...! nice post thanku fro sharing..
very informative blog.Thank you for sharing. Great and useful post.Thanks for sharing this post. One of the best blog to learn more about music & Play. Thanks for sharing this informative blog, glad to go through this articles. keep updating more!! I am using Download Manager for downloading audio files it working fine when app is in front but when i remove it from Task Manager file download completely but i never get the event of successfully download. Please guide me what should i do for the same. Thanks for sharing this informatics content and keep updating us. This content is really helpful to me in developing the Cloud Computing Skills. We share this information is really important, I can learn a lot of new information and cloud also be a reference, I'm waiting for them your next article updates.